PNP chief Gen. Oscar Albayalde said what they have against the 349 local officials are intelligence reports that they are providing financial and political support to the Communist Party of the Philippines (CPP) and the New People’s Army (NPA). 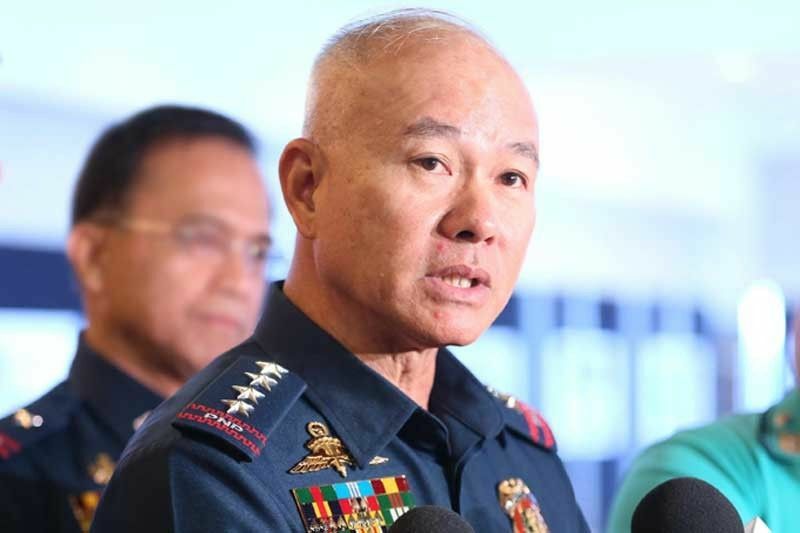 MANILA, Philippines — The chief of the Philippine National Police (PNP) yesterday admitted it has yet to obtain concrete evidence against incumbent and former local officials and lawmakers allegedly cooperating with communist rebels. “It’s difficult. It’s like bribery, it’s hard to prove that this person was the one giving money,” he told a press briefing at Camp Crame, Quezon City. The officials, Albayalde added, would just deny the allegations against them. The PNP is monitoring the activities of the suspects including 11 governors, 10 provincial board members, 55 mayors, 21 vice mayors, 41 councilors and 184 barangay officials. Also included in the list are 11 former local government officials, 10 incumbent congressmen and one former congressman. Based on the consolidated figures gathered by intelligence groups from various government agencies, the CPP-NPA collected P195.5 million from extortion activities during the 2016 and 2018 elections. Albayalde warned candidates in the midterm polls, private individuals and juridical entities from giving money to communist rebels as they could be charged with violating Republic Act 10168 or the Terrorism Financing Prevention and Suppression Act. “If it is proven that the fee is made as part of a conspiracy to overthrow the government, the donor may be held liable as co-conspirator in the crime of rebellion,” he said. The military is monitoring the CPP-NPA to ensure that the rebels would not collect so-called election fees for those campaigning for next month’s midterm national and local elections. Armed Forces of the Philippines (AFP) public affairs office chief Col. Noel Detoyato said troops are monitoring such extortion activities. “So far, no reported incidents but we are not discounting the possibility that there are underground transactions,” he told reporters yesterday. “Finding this out is an implied task to our field units,” he stressed.